To assess the severity and prognosis of a patient's lung condition, the medical community calls on GOLD COPD guidelines. The Global Initiative for Chronic Obstructive Lung Disease (GOLD) offers a standard that defines the stages of COPD a patient undergoes. One of the missions of GOLD COPD (Global Initiative for Chronic Obstructive Lung Disease) involves the stages of chronic obstructive pulmonary disease. Before diagnosis, a doctor may suspect COPD in anyone with a history of smoking or exposure to environmental irritants. 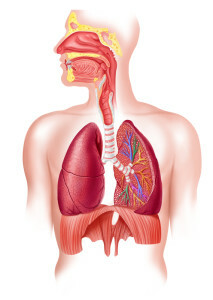 Characteristic lung problem symptoms that accompany COPD include chronic cough, sputum production, COPD breath sounds (wheezing), and shortness of breath with exertion. To make a COPD diagnosis, a doctor will perform a physical examination and evaluate the patient with spirometry, which can diagnose COPD by measuring FEV1 even before COPD signs and symptoms become apparent. Spirometry also is used for COPD staging, and to monitor the progression of the disease for a COPD prognosis. Don’t let COPD take your breath away! 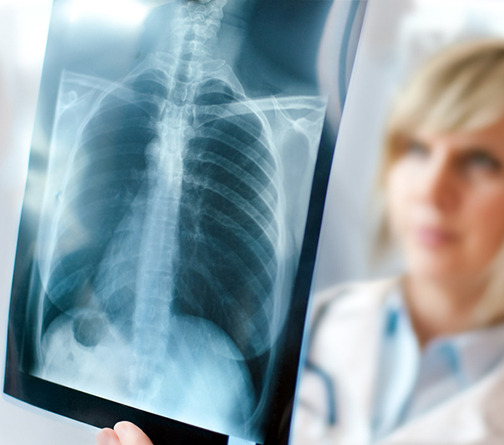 Get clear answers about lung health, bronchitis symptoms, and emphysema treatments. Claim your FREE copy, right now, of our definitive guide on COPD and lung health. People with COPD have a decrease in FEV1 (the amount of air that can be blown out in one second). As the disease gets worse, the FVC (the total amount of air that can be exhaled after inhalation) also deteriorates compared with people of the same age who have normal lung function. A new set of GOLD COPD guidelines has been released for 2017, and the report contains updated prevention and treatment recommendations from leading global experts on COPD. For the 2017 guidelines, the experts addressed individualized approaches to treating stable COPD. They also revised their advice on oxygen therapy and lung volume reduction surgery, as well as treatments and therapies for COPD patients depending on the severity of their disease and their risk for COPD exacerbations. The updated GOLD COPD guidelines also recommend that doctors focus more on a patient’s symptoms and risk for COPD exacerbations than their FEV1 score when they are devising a treatment regimen. For the GOLD guidelines, COPD is divided into four stages: mild, moderate, severe, and very severe. (See also “COPD Stages: How Chronic Obstructive Pulmonary Disease Advances.”) These classifications are based on increasing severity of airflow restriction and symptoms. The spirometry reading for FEV1 is generally used to determine the severity classification, which can provide information as to your life expectancy with COPD. COPD Stage 1: Mild COPD. Spirometry shows mild limitation in airflow (FEV1 greater than 80 percent of predicted). Chronic cough and sputum production may be present. At this stage, the person is often unaware of impaired lung function. COPD Stage 2: Moderate COPD. Spirometry shows limitation in airflow that is worse than in mild COPD (FEV1 less than 80 percent but greater than 50 percent of predicted). Shortness of breath typically occurs with exertion. Cough and sputum production are more likely than in mild COPD. At this stage, the person may first become aware of a problem with breathing, and seek medical advice. Stage 3 COPD: Severe COPD. Airflow limitation becomes progressively worse (FEV1 less than 50 percent but greater than 30 percent of predicted). Shortness of breath will increase, even with even a small amount of exertion, and the person will likely feel fatigued. Quality of life often diminishes. Stage 4 COPD: Very severe COPD. Among COPD stages, this level is the one also known as COPD end stage. Airflow is severely compromised (FEV1 less than 30 percent of predicted or less than 50 percent of predicted, plus the person has chronic respiratory failure). This may lead to heart problems, such as heart failure. Quality of life is markedly impaired. Exacerbations of the disease may be life-threatening. COPD signs and symptoms can be similar to asthma, especially in the early stages of COPD. COPD and asthma also can coexist. Therefore, for some patients (especially those who smoke), it may be difficult to make an accurate diagnosis. However, there are some distinguishing characteristics between the two afflictions. The following two lists summarize the difference between asthma and COPD. Usually begins after age 40. Symptoms get worse with advancing age. Occurs in people with a history of smoking. Results in a limitation in airflow that is non-reversible. Usually begins early in life (often in childhood). Symptoms can vary from day to day. Symptoms often occur at night or in the early morning. Allergy, rhinitis, and/or eczema are usually present. Limitation in airflow is largely reversible with medication. One major difference between asthma and COPD relates to the reversibility of the condition. Is COPD reversible? No—the damage to the airways is permanent, and gets progressively worse. The airway narrowing in asthma, on the other hand, is usually reversible. GOLD was formed in 1997 in partnership with the World Health Organization, the National Institutes of Health, and the National Heart, Lung, and Blood Institute. Its objective is to increase awareness about COPD, recommend prevention and treatment strategies, and promote studies that could save lives. You can find out more about the GOLD COPD guidelines by visiting the Global Initiative for Chronic Obstructive Lung Disease website (www.goldcopd.org). You can download a copy of the guidelines at the website, and also access the GOLD Patient Guide: What You Can Do About COPD. In addition an asthma attack generally is sparked by a trigger, such as an allergic reaction, exposure to the cold, or exercise. Doctors can simulate an asthma trigger with an inhaled drug called methacholine. This drug causes the airways to spasm, which will be detected on a test of breathing function (spirometry). A positive result of this test indicates asthma is probably the cause of the patient’s symptoms. However, this is not 100 percent accurate because a person with chronic bronchitis also may have a positive result on this test. People with asthma (especially those who smoke) can develop a chronic cough, and could develop COPD. In some cases, it may not be possible to make a clear distinction between asthma and COPD. Current medical treatment guidelines state that for patients with both asthma and COPD, treatment should be similar to that for asthma. But each patient is different—therefore, treatment will likely be individualized. allergic reaction, allergy, asthma, asthma and copd, bronchitis, chronic bronchitis, chronic obstructive lung disease, chronic obstructive pulmonary disease, copd, copd and asthma, copd breath sounds, copd diagnosis, copd guidelines, copd prognosis, copd signs, copd signs and symptoms, copd stage 2, copd stages, copd treatment, difference between asthma and copd, eczema, exercise, fatigued, gold copd, health, health news, heart failure, heart problems, is copd reversible, lung disease, lung problem, medical advice, methacholine, mild copd, moderate copd, obstructive lung disease, obstructive pulmonary disease, oxygen therapy, pulmonary disease, report, rhinitis, severe copd, shortness of breath, smoking, spirometry, stage 3 copd, stage 4 copd, stages of copd, university health news, what does copd stand for, what is the difference between asthma and copd, wheezing. I am 59 now. I was diagnosed with COPD in March of 2013. I had been a heavy smoker, got a cold I couldn’t get rid of, ended up in the hospital, on a ventilator. I should have known it was coming, but like most smokers, thought it would never happen to me. I don’t smoke now and never will again, but, I still want to. My life has changed drastically. I had to stop working, sold my home (couldn’t afford it without a salary),the COPD disease has kept down since diagnosed if not for the herbal formula of Total cure herbal foundation i would have been in hospital with the use oxygen managing my condition,total cure herbal foundation finally get rid of my disease with their natural herbal products in just 14 weeks of usage which i have been on other medication for ages but am really glad now that my lungs has return to it normal position.